Wing: Zonkerwing in rabbit-white. Tapered in the end. 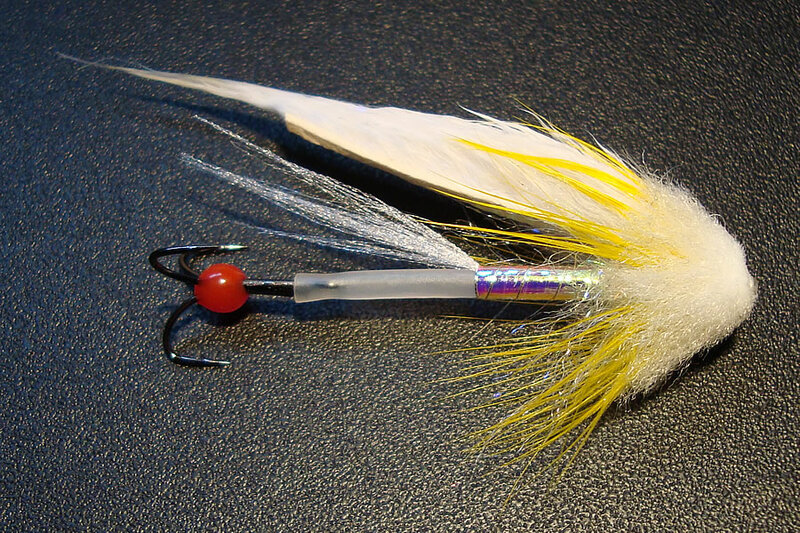 In the begining of the season white flies are perfect to both seatrout and salmon. As always i choose not to add weight to the fly, but let the line do the work instead. Triple-D in intermediate/Sink2/Sink4 is the ultimate choice for the current conditions with normal water level. As the summer fishing starts with lower water I change to Tiple-D in Float/Hover/Intermediate or a floating Power Taper. Give the fly a good speed and hold the rod thight, fish will strike! Next The Claret Duns Are Here!